One of the very best of all Camellias. 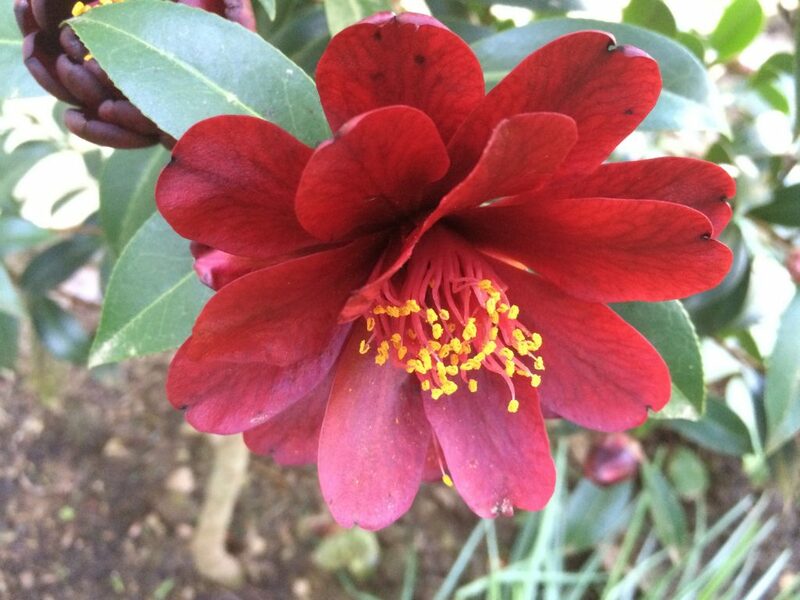 This remarkable hybrid bears small semi double black/red flowers with petals that have a glossy rubbery quality. The thin foliage is deep green black as well and new growth is brilliant red before settling down. Slow growing shrub for shade to full sun to 6′ tall by 4′ wide in 8 years. Regular summer water speeds up the growth rate. Otherwise light consistent summer water is recommended. There is so much of the chemical that makes up the hue red that even the roots are brilliant blood red. Handsome at all times and cold hardy. 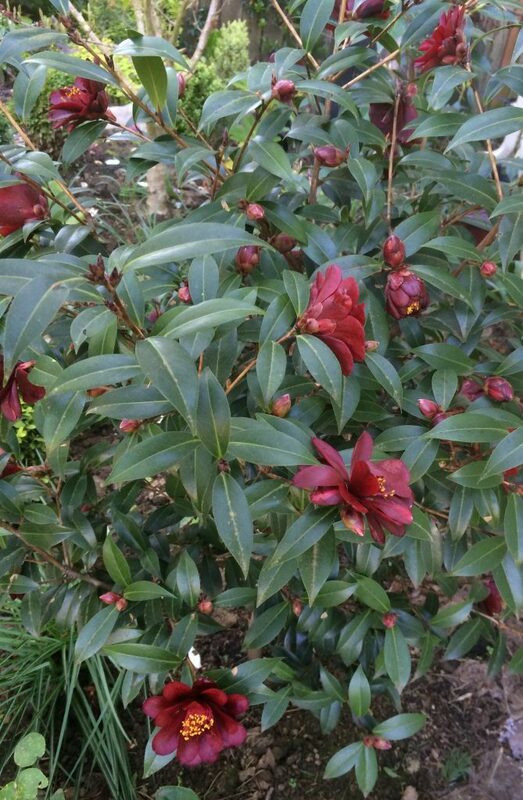 Not an easy Camellia to produce in a container- easy and adaptable in the ground. Blooms late for a Camellia- March to April.